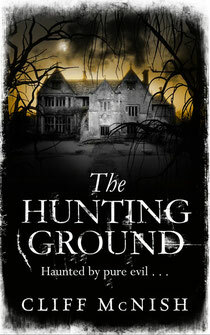 I’ll be at the Edinburgh International Book Festival on Thursday 18th August at 3.30 pm, talking ghost stories and mainly about my latest novel THE HUNTING GROUND, which – er – is a ghost story. The Guardian very kindly asked me to put together a list of my top ten most frightening books suitable for a teen audience. It got me thinking and I put together this little list. Made me reflect in a more organised way than I’d normally bother about horror stories too – and what a surprise – quel horreur! – they’re all about love! Just about everything in life (and almost literally everything in fiction) is all about love – the having of it, the need for it, the absence of it, and our desperate attempts to claw it back or hold on to it or acquire it in all its forms. ... is now out in paperback in the UK – and in hardcover in the USA. I keep getting people telling me that they like it but not the ending. Should have given a softer, more gradually-released conclusion to the reader, methinks. You flout convention in an attempt to do what feels artistically and aesthetically right and you ... well, misjudge I guess. Sorry to those disappointed, but the answers to all the questions I’m being asked by you guys are actually all in that last chapter if you just read it carefully enough. Anyway, I’m not gonna apologise anymore. I did write the ending I wanted. It’s a book I’m proud of. I’m just completing the first draft of my new novel – ARAMANTH. Anybody who can come up with a better title (it’s a planet, nice place) can have a couple of free signed copies when it comes out (plus fame and fortune of appearing on a cover of course, what are you waiting for?). I’ve really enjoyed writing it. It’s full of wild creatures and teenagers made of stern stuff with a world to save. A classic heroic fantasy swashbuckling adventure if ever there was one. Nice change from the ice-cold ghost story THE HUNTING GROUND. It’s odd how writing creepy stuff affects your mood, actually – all that immersion in the dark side. You don’t think it does – the relationship with your day-to-day personality is nowhere near as simple as dark fiction content = a veiled, damp mood – but it does have some impact, and you only know it when you’re back in the sunshine – I definitely felt good releasing the fetters a bit in this one, letting loose on the invention, building a world. I’ll get it to my publisher in mid June and we’ll see what they make of it... ARAMANTH is deeply influenced, actually, by a fantasy/SF writer I’ve become (healthily, I think) obsessed with – Justina Robson. Try KEEPING IT REAL, the first of her Quantum Gravity series. Whether you’re an adult or teen, it’s so beautifully done ... and there are 4 more glorious books in the series, too. It’s funny, really – when you come across a talent like hers you realise that almost anything is possible in fiction. Yeah, thinking about that, too. 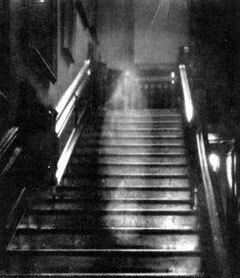 Might be another ghost story. I like them. I’ve been worrying the edge of a new idea for a while now, but mysteriously it won’t come right. If I can get it to do so (by which I only mean it feels like it has legs to me, of course), I might suggest to Orion that we go with this one next. We’ll see ... Ciao ..... and be good to each other.